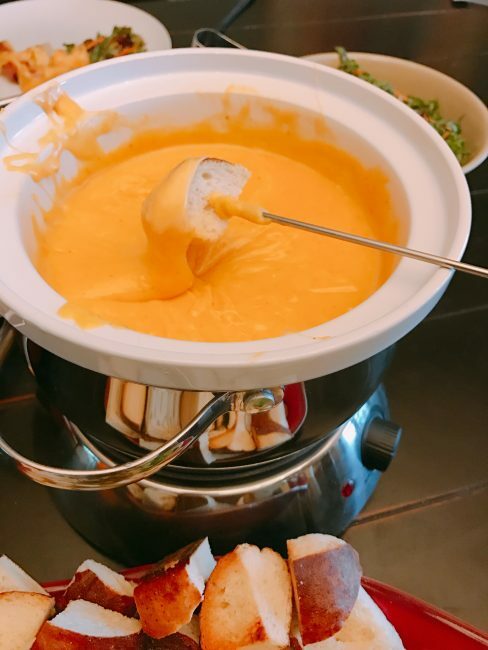 Fondue is the ultimate ways to play with food. It’s upscale enough to serve at a dinner party with adults and fun enough to enjoy with kids. 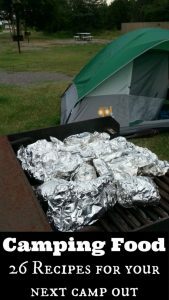 I have even been known to serve it fireside while camping (story for another day). This German Beer Cheddar Fondue is great for any occasion. A German Hefeweizen, sharp cheddar, and Gruyere cheeses melt together into a bowl of deliciousness. I know you are going to enjoy this!!! Get ready! Readers sometimes ask where I get my recipe ideas. Sometimes, I’ll find published recipes or things on TV that I want to try. Other times I will eat something while traveling that I want to recreate at home. Those are really my favorite kind of travel souvenirs. Those foods and flavors from our travels keep the memories alive because they remind us of places and people. Recently, I went to Disney World for the Type A Parent East Conference. It was a great trip and I learned a ton. Best of all I got to go into the parks and save fun with friends, new and old. A few of my roommates and I went into EPCOT for their Food and Wine Festival on several nights. We ate and drank our way around the world. Actually we only made it about half way around the world Showcase pavilion before we were stuffed. But we had a BLAST “Half Way Around the World! One of my favorite dishes at the Food and Wine Festival was a Canadian Cheddar Cheese Soup. This soup was “HEAVEN” in a bowl. (I would share a picture but I don’t have one. It was so good, it was gone before I could pull out the camera.) Served with a pretzel roll, you could dip the it and soak up all the deliciously or eat it with a spoon. Either way, it required a moment of silence while enjoying it. It was that good! Now fast forward and I’m back home. 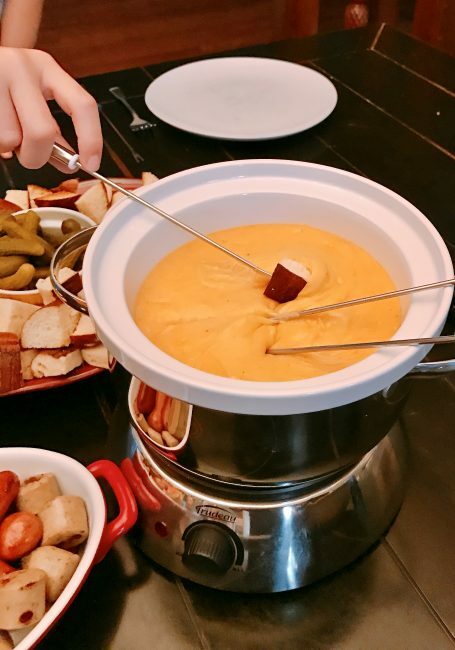 I decided to recreate that Cheddar Cheese Soup as a fondue because my family LOVES fondue. 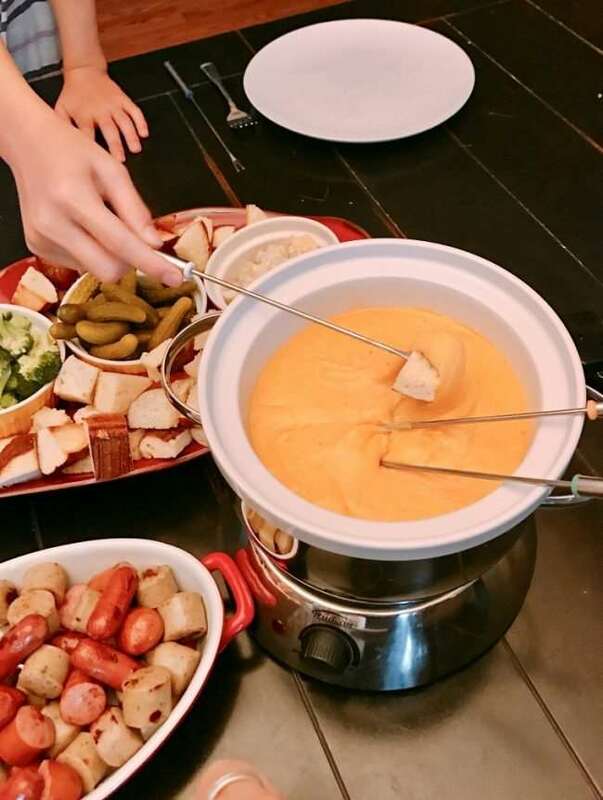 A cheese fondue only takes about 15 minutes to throw together and everyone loves getting to “cook” their own food. 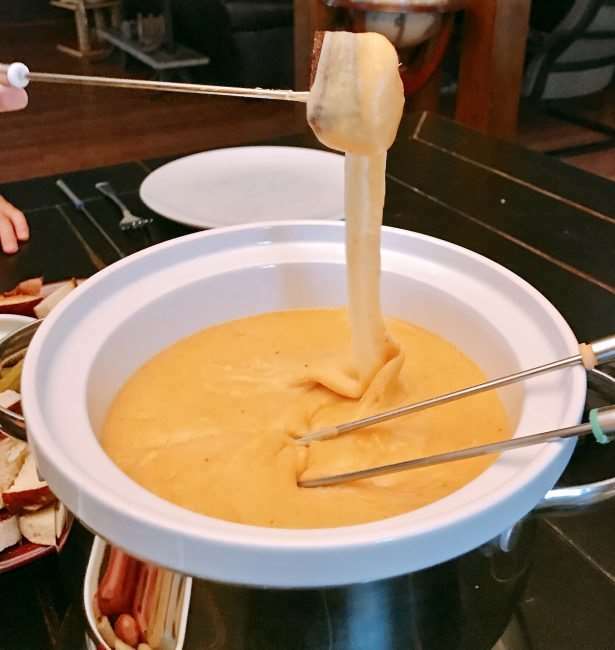 This German Beer Cheddar fondue is a variation of a more traditional fondue that my mother used to make with Gruyere and Emmental cheeses. I’ve changed it up by substituting sharp cheddar and a German lager instead of white wine. When you cook with wine or beer, the alcohol is cooked off and you are left with a great flavor. I added a German classic, spicy brown mustard, and a little hot sauce (because I like it). 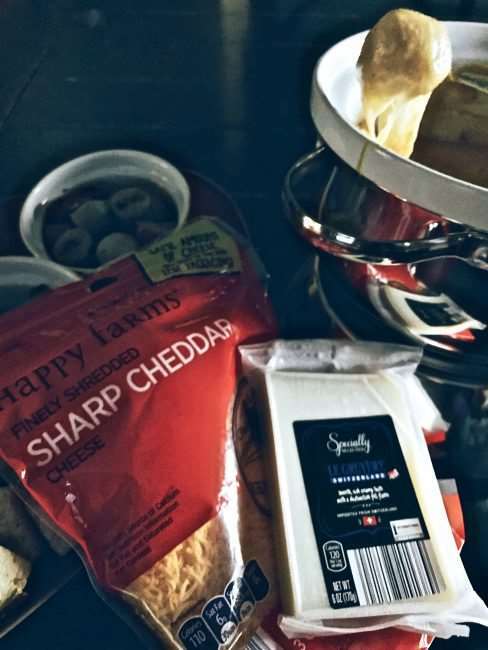 The result is a tasty cheddar fondue that will replace any cheese dip or fondue you currently make. Because this is a quick and easy meal, I offer a variety of sausages and 2 vegetables that we can dip into the melted cheese. I blanch the vegetables and sausage in the remaining beer, but water can also be used. 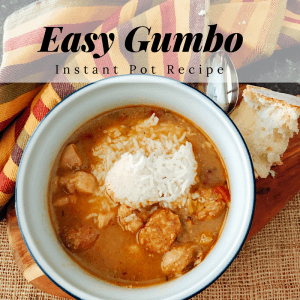 It gives some variety to the meal and more great flavor. A small garden salad is usually served alongside to complete the meal. In a large sauce pan, add beer and bring to a low boil over medium heat. In a large mixing bowl, combine shredded cheeses and cornstarch. Once beer is at a low rolling boil, reduce to a simmer. Add cheese 1 cup or handful at a time. Stir constantly. When cheese is fully melted, add in mustard, hot sauce, and Worcestershire sauce. Transfer cheese to a preheated fondue pot. In a large skillet, add 1/2 cup of beer and bring to a boil. Add cauliflower and broccoli. Cook for 2-3 minutes or until they are the desired consistency. Remove vegetables from pan, straining off liquid, and set aside. Add sliced brats or knockwurst and cocktail sausages to the pan. Add an additional 1/2 cup of beer to the pan. Cook sausage until all the liquid has evaporated and sausage is heated through. Place toasted pretzel roll cubes, sausage, cauliflower, and broccoli on a serving platter. Place mini pickles into a small bowl and serve alongside. Dip cubes of bread, sausage, of vegetable into cheese fondue. Place on plate and allow to cool slightly. There are a variety of fondue pots available on the market. I have had a few over the years and prefer to use an electric fondue pot. 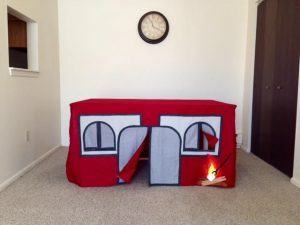 An electric version produces even heat and doesn’t have an open flame like those that use a candle or steno burner. My last fondue pot saw ten years of service before it finally died. I recently contacted Trudeau and they provided me with their 3-in-1 Alto Electric Fondue Set to try out. I really like that this set in a 3-in-1. There is a stainless steel fondue pot and removable ceramic double boiler insert. That makes it perfect for broth, oil, cheese, and chocolate fondues. I like that the pots and inserts can be removed from the heat source and washed. My last fondue pot was a single unit that was could not be separated. So this feature is a big plus! Note When Cooking with Kids: Regardless of the fondue pot you use, be sure that you supervise children when using it. The cooking surface may be hot and care should always be used. 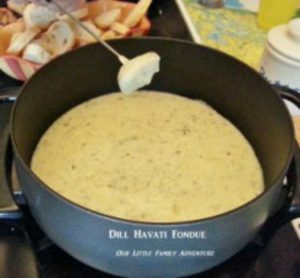 If you like this recipe, you may also like this Dill Havarti Fondue. 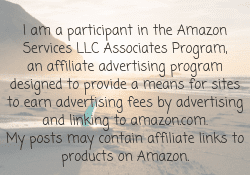 Note: This blog contains affiliate links, which means I may get commissions from products purchased. I’ll only recommend and share products that I use and love myself. There is no additional cost to you as a buyer! A complimentary fondue pot set was provided to me. All opinions expressed are my own. You can always read our entire disclosure page (found at the bottom on this page). Thanks so much! 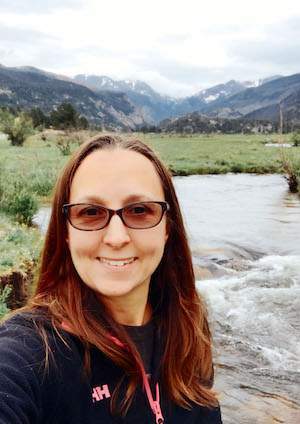 « Let Us Help You Opt Outside with the Family – Enter to win #OutdoorFamilies Network #ThankfulForFamilies Giveaway!